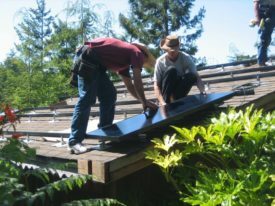 My interest in Residential Solar started 20 years ago, when I bought an off-grid house in the Santa Cruz mountains. Before purchasing, I did a lot of research. It seemed far cheaper to put in solar than run PG&E. I grabbed my Solar Living Catalog, and designed a full-time off grid system that would integrate with the existing generators. A month later, I drove up to Ukiah and brought the system back to the house. A modest installation with 6 panels, 2 Trace inverters (one generator delivered 240vac, so you needed two inverters! ), and a dozen forklift batteries. It provided all the power I needed at 1/3 of the price of running PG&E the 1 mile to the house. I remember during a huge storm, looking over the now dark view of Morgan Hill, while watching the news on TV about the widespread PG&E power outages. That’s when I decided an independent power system was a viable alternative for me. 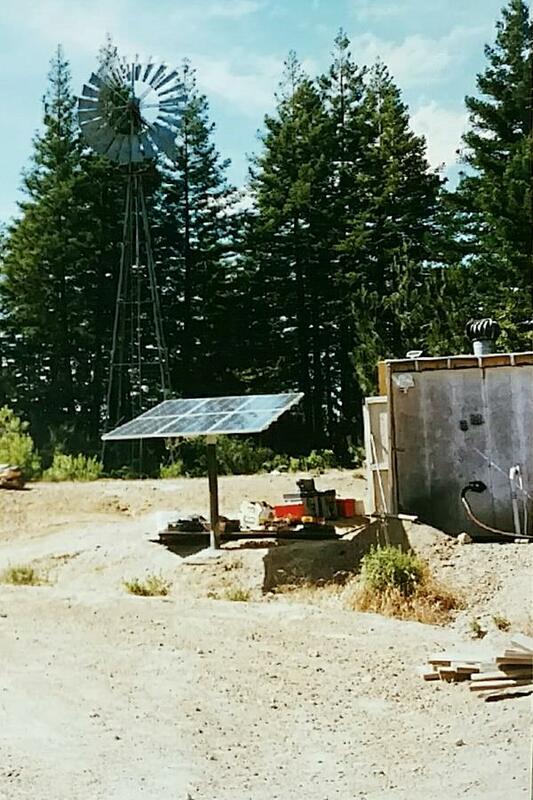 Photo: My original off-grid solar energy system. Photo by K. Wallich.